The reputation of Lyon’s Light Festival stretches far and wide and has become a source of creative inspiration across the globe. Many of the installations featured at the Lyon Festival are emulated elsewhere in and outside France. 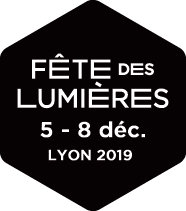 The Festival of Lights teams work closely with their colleagues from ONLYLYON who are in charge of making a name for Lyon outside France. Over the years the Festival has grown from being a model of public events project management to a fully-fledged model of territorial marketing. For ONLYLYON, these international events provide the ideal opportunity to publicize the Lyon area, its lifestyle and cultural vibrancy, in particular its expertise in light design which remains one of the the cornerstones of Lyon’s reputation. A special logo has even been designed to pay tribute to Lyon as a source of inspiration. City lighting projects which have followed in Lyon’s footsteps can now officially claim to be “inspired by Lyon Festival of Lights”. The City of Quito organised the third Fiesta de la Luz from August 8 to 12, 2018 in conjunction with the Alliance Française and the French embassy. Once again, experts from Lyon were on hand. The artistic director of the festival was Jean-François Zurawik, who is in charge of events organisation for the city of Lyon. 18 projects were selected to light up Quito’s old town including 6 regulars from the Festival of Lights who either created or adapted installations for the Ecuadorian capital Laurent Langlois, Erik Barray, Daniel Knipper, Salvatore Barletta, Yves Moreaux as well as the Porté par le vent crew.